According to BMI Research, Europe’s got a new “sick man”: Finland. 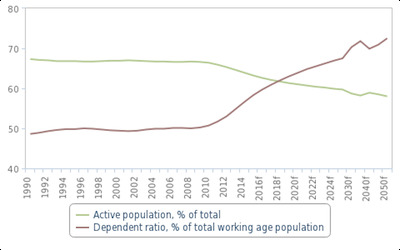 The northern European country could be looking at a muggy economic future as its major industries continue to struggle and its demographic situation works against long-term growth. “Finland is set for years of economic stagnation, and will be one of the worst performing eurozone economies in growth terms,” the BMI research team argued in a recent report. The team believes that the country’s real GDP growth will log only an average of 0.9% over the next decade, far below the pre-financial-crisis average of 4.0% from 1997 to 2007. The country’s economy is having a hard time bouncing back from its dying paper industry and Nokia’s slump. Notably, Nokia alone was responsible for a stunning 24% of Finnish real GDP growth from 1997 to 2007, according to data cited by BMI Research. 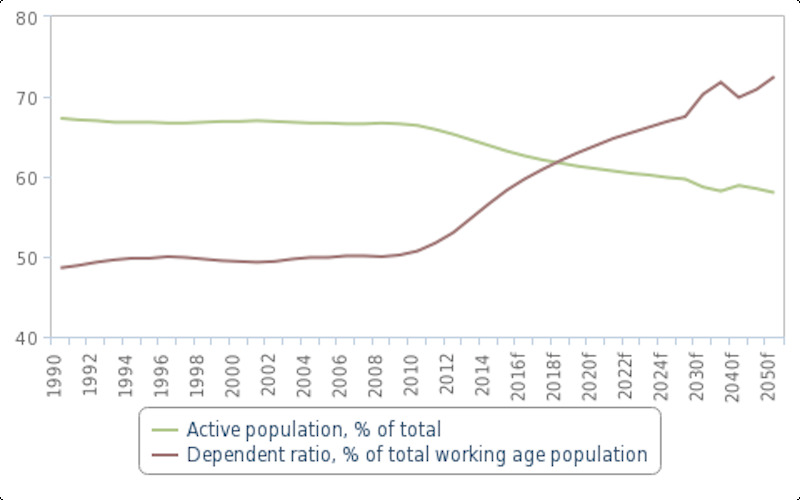 The country’ demographics — which, much like the rest of Europe, include a shrinking working age population and a growing ageing population — will likely drag down long-term growth. Finland uses the euro, which means that it can’t adjust fiscal or monetary policy to its specific needs. Notably, the government’s labour market reforms — which aim to cut worker benefits — have, unsurprisingly, not been a huge crowd pleaser. Plus, they “will likely increase unemployment and restrict wage growth in the coming years, implying that private consumption will be subdued,” the BMI Research team argued. Of course, it’s worth nothing that Finland is already one of the most developed, wealthiest in terms of GDP per capita, and least corrupt countries in the world. Plus, it’s one of the strongest countries when it comes to research and development. So, it’s not that its economy will totally crater in on itself — more that living standards might not tremendously improve in the near future. But, notably, that’s exactly what could have some implications further down the road. “Stagnating improvements to living standards will continue boosting a growing eurosceptic movement in Finland, even if an exit from the currency union is highly unlikely at any stage over the next decade,” the team noted.